Asfar is experienced in a wide range of Market & Communications services. 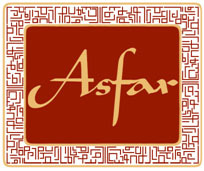 Asfar’s Director has worked in a wide range of different Marketing & Communications departments, including national and international Charities’ M&C and Development departments; in Parliament dealing with Press, producing Research Briefings and supporting on local Election Campaigns; a Parliamentary Seminar body developing Marketing mailshots and gaining Sponsors; leading Public Affairs Think Tanks’ Research and Communications. To learn more about these services, please contact Sheniz Tan at info@asfar.org.uk to discuss your Marketing and Communications requirements.